A political leader of the twentieth century, elected president in 1980 and 1984. 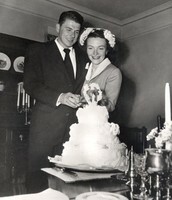 Reagan went into politics after a career as a film actor. He served as governor of California from 1967 to 1975 and became a leading spokesman for conservatism in the United States. Early in his presidency, Reagan persuaded a Congress controlled by Democrats to increase spending on the defense and to reduce taxes. Accordingly, the federal government went deeper into debt throughout Reagan's presidency. Reagan nevertheless was able to reduce the size and activities of the federal government outside of the defense. 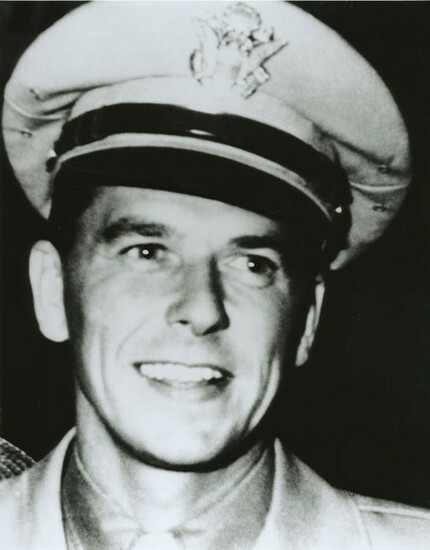 Born in Tampico, Illinois, on February 6, 1911, Ronald Reagan initially chose a career in entertainment, appearing in more than 50 films. 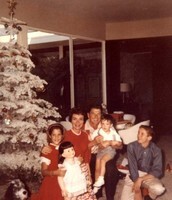 While in Hollywood, he served as president of the Screen Actor's Guild and met his future wife, Nancy Reagan. He served two terms as governor of California. Originally a liberal Democrat, Reagan ran for the U.S.
presidency as a conservative Republican and won two terms, beginning in 1980. 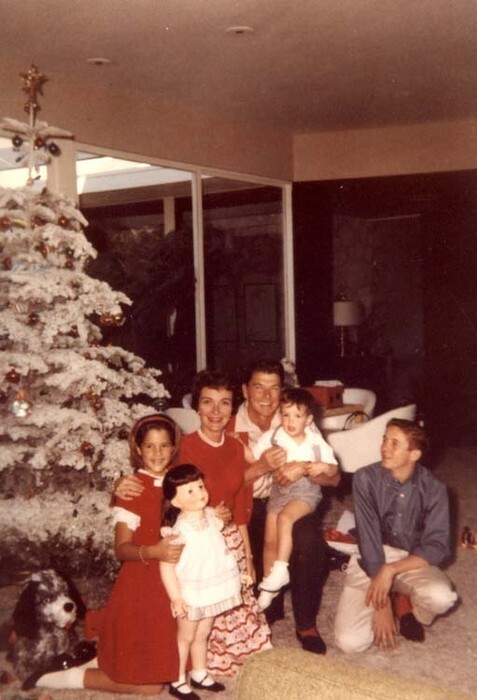 Reagan stepped into the national political spotlight in 1964, when he gave a well-received televised speech for Republican presidential candidate Barry Goldwater, a prominent conservative. Two years later, in his first race for public office, Reagan defeated Democratic incumbent Edmund "Pat" Brown Sr. by almost 1 million votes, winning the California governorship. He was re-elected to a second term in 1970. 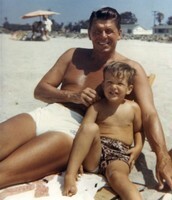 -Nicknames: Reagan had several nicknames growing up. His parents and friends called him “Ronnie,” since he was a chubby little boy with a Dutch boy haircut. As he got older he had the nickname of “Dutch” because of his Dutch boy haircut. As an adult he got the nickname of the "Gipper" when he played the leading role in “Knute Rockne, All American" in 1940, portraying George Gipp, a football player at the University of Notre Dame from 1917 to 1920 who developed a throat infection and died a few weeks later at the age of 25. -acting career: In 1937, while he was working for the Cubs, a screen test with Warner Brothers Pictures landed him a contract for seven years as an actor in B-movies, where he would spend the rest of his early career. During his acting career he was in 53 films. -He survived an assassination attempt in 1981. - In his 1984 reelection bid, Reagan received 525 electoral votes, the most of any candidate in U.S. history, as he garnered 58.8% of the vote and won 49 states in his race against Walter Mondale. -Reagan became governor of California in 1967 by defeating Democratic Gov. Edmund G. Brown and when he stepped down eight years later he was succeeded by Jerry Brown, the previous governor’s son. 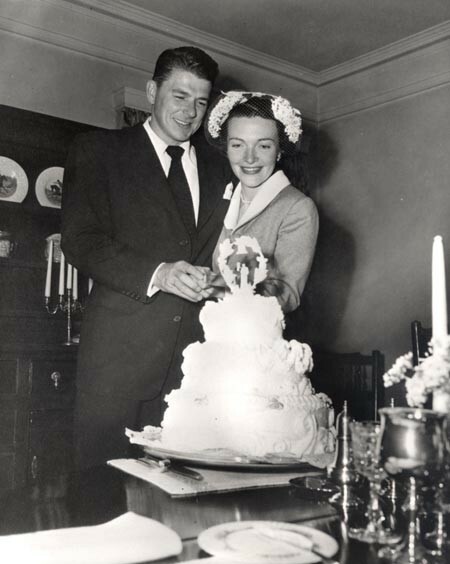 Newlyweds Ronald Reagan and Nancy Reagan cutting their wedding cake at the Holden's house in Toluca Lake, California. 3/4/52. 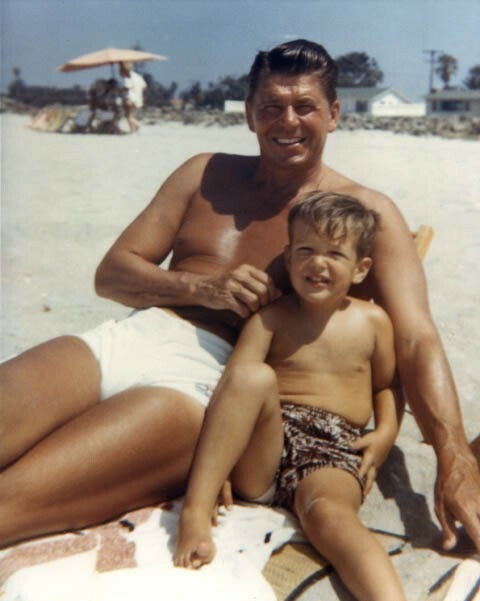 Ronald Reagan and his son Ron sitting on the beach in Coronado, California.1962. 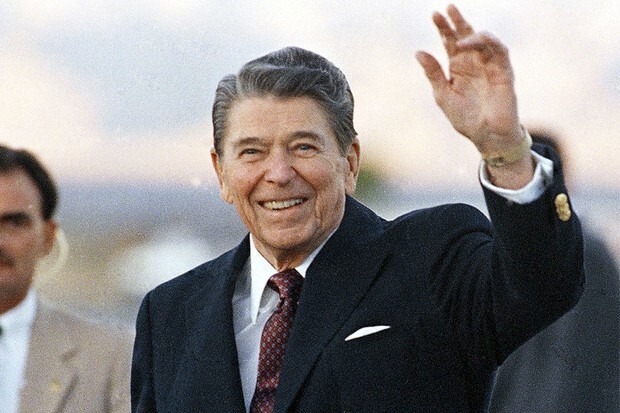 Legend has it that Reagan earned his nickname "The Great Communicator" because he could engage any listener with his animated stories and convincing smile. His smile was so convincing and his charm so affable that voters loved him more than they had loved any other politician since FDR. 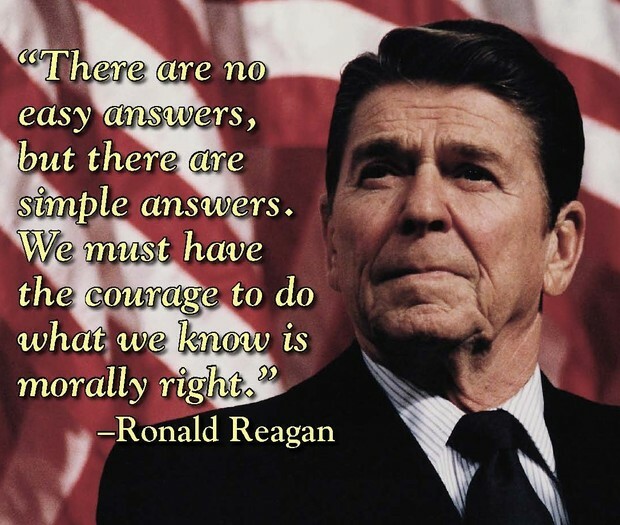 Ronald Reagan was a man who fought for what he believed in, and he changed the world more than probably any American in the twentieth century. He changed not only the conservative movement, the Republican party, his country and the world -- but also his opponents, known as liberals. As a result of his achievements, the typical liberal Member of Congress today sits to the right of Richard Nixon on a number of economic issues, including tax policy. The Great Communicator, as he was called, was capable of charming millions of Americans with his soothing, grandfatherly demeanor. In 1984 there were polls indicating that most of those who voted to re-elect him disagreed with him on the issues. In short, the "Reagan revolution" would probably never have happened without his unrivalled leadership skills.